January needed cheering up, and whilst I managed to avoid the majority of the sales, I caved in on a few occasions. Asquith do fantastic yoga wear and their 70% off sales are excellent. I picked up this bra top and cropped leggings. 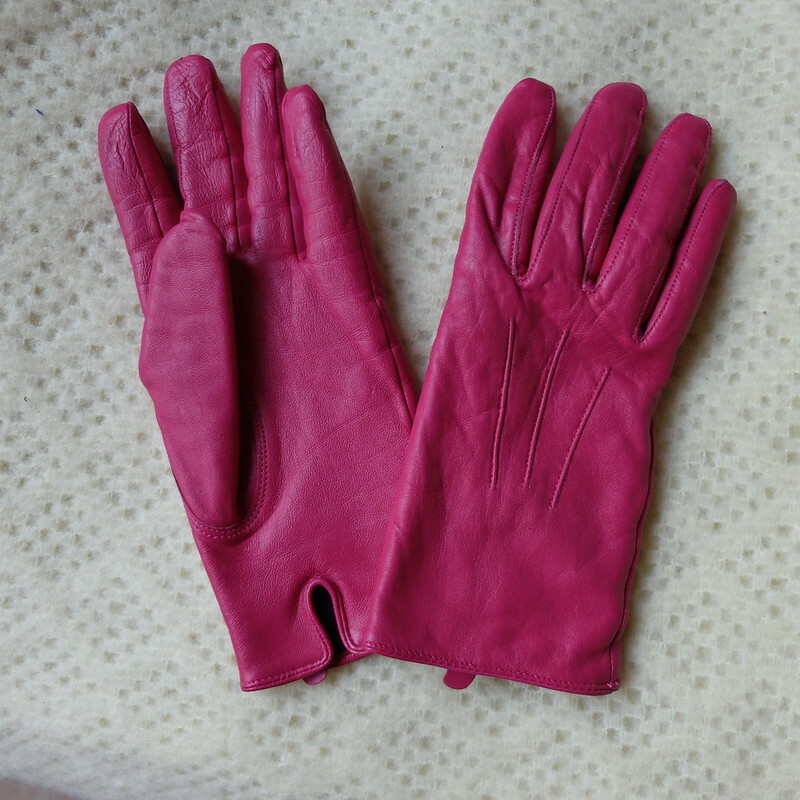 My husband bought me a couple of wearable gifts; some thermal socks, and a nice bright pink pair of leather gloves. I got fed up of looking at my PhD one day and as the sun was actually visible in the sky I suggested to my husband that we go for a drive and perhaps investigate a few towns we hadn't been to for their charity shop offerings. My first purchase that day was a flamboyant '70s turquoise maxi dress. Who cares where I'll wear it, it's so much fun! 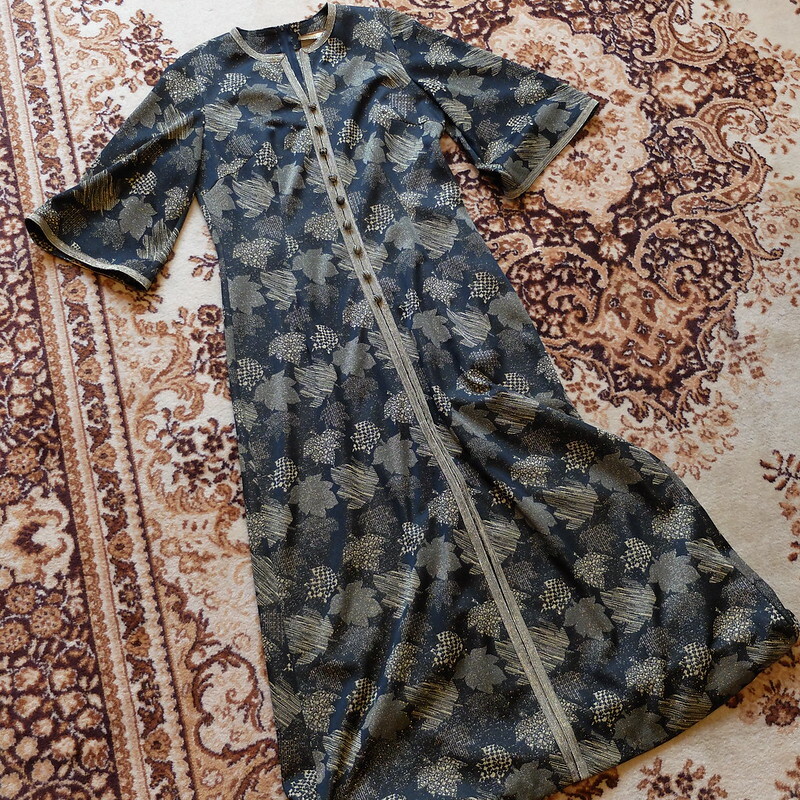 The only other purchase that day happened to be another '70s vintage dress, a sort of kaftan by Miss Jeannie. I picked up a slinky long gold necklace also. 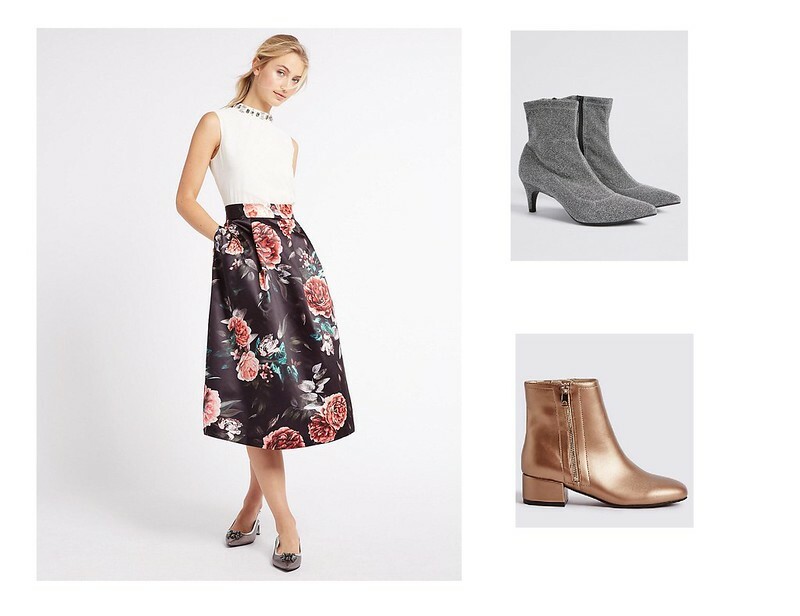 Then, inexplicably in the week that my PhD chapter was due, I had a strong urge-to-shop and on a completely justified trip to M&S to buy knickers, I wandered into the sale section and came away with two pairs of boots and a full skirt. I have wanted a pair of party boots for ages, and these sparkly silver ones ticked that box for a mere £9.26. They also had them in a dark blue velvet (tempting). Then the gold boots (£8.29) I thought would go with everything, and they are low heel so can be worn lots. That was the justification there. My husband can't understand why anyone (apart from vegans) would buy boots that aren't leather, and I agree that they don't last as long, but I have wanted metallic boots for years and I couldn't turn these down at the price. One day I will find some lovely gold leather boots in my size and for a decent price, but until then these will do. The had quite a few full midi length skirts in the sale, I tried some on and a few were shaped a bit oddly, and didn't hang quite right. I also picked up a skirt which was almost exactly the same as one I bought years ago and eventually got rid of because it didn't go with anything. See, I learnt my lesson there (only just). I got this one instead (£9.99). I ended up on the Warehouse website in a weak moment, and bought two pairs of trousers. 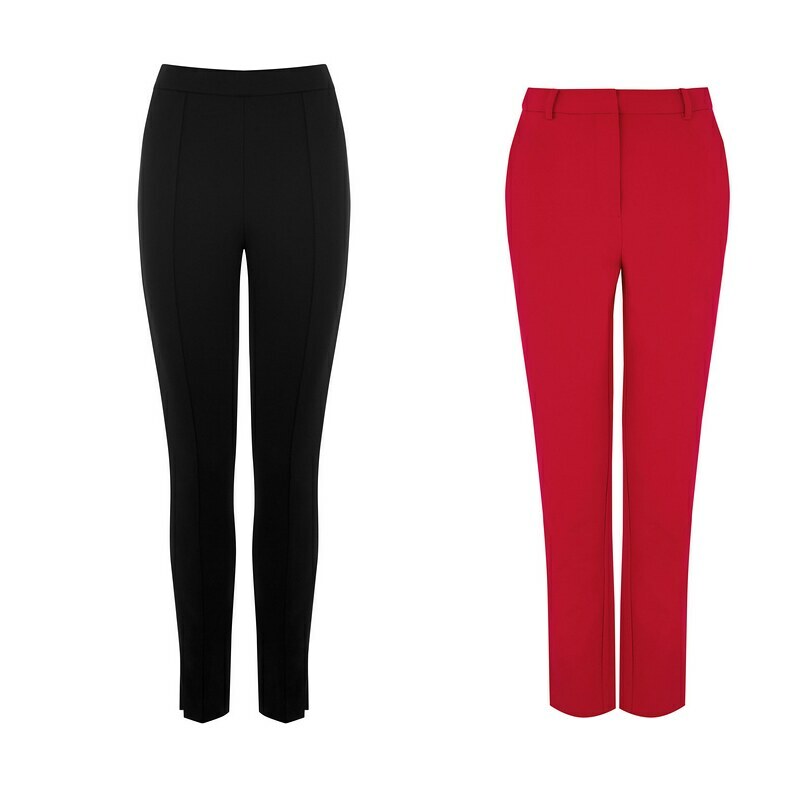 The first is a black ponte stretch pair (a step up from leggings though due to the thickness) that Warehouse did in collaboration with Pandora Sykes, the stylist. 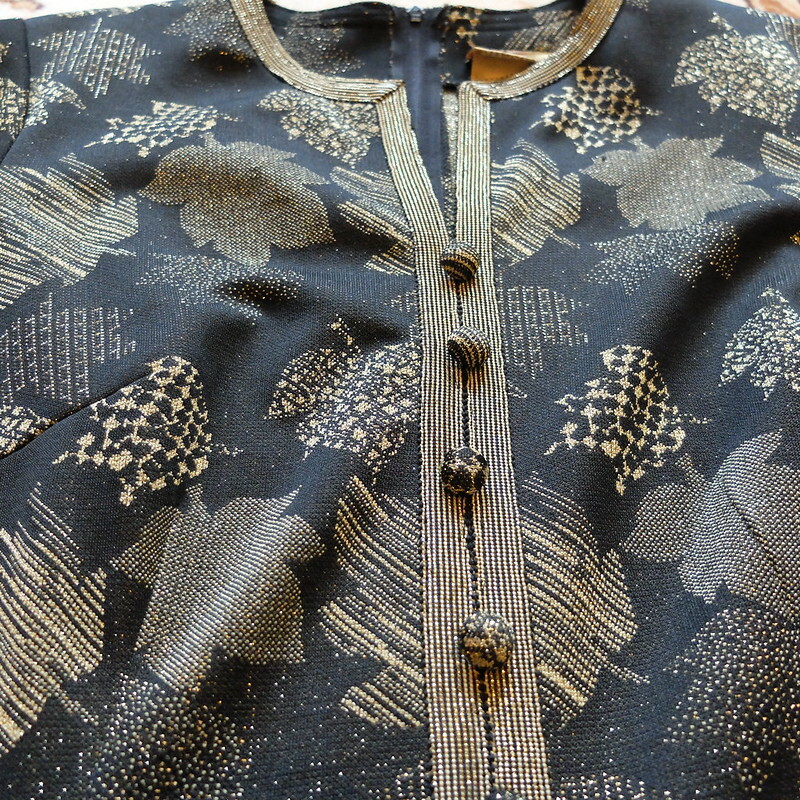 They will be perfect weekend wear with a cosy knit or a breton stripe top. I also bought a pair of red cropped trousers in the sale, and they are the closest to my natural waist that a pair of high street trousers has been in years. Not 'high' waisted, but still very good. They'll do for work. I'm annoyed because although the red trousers were only £20, I paid £32 (full price, what was i thinking?!) for the black trousers, and the day after they arrived, the price dropped to £25.60. I think I'm keeping both of these, but need to try them on in actual daylight first, so that will have to wait until the weekend. 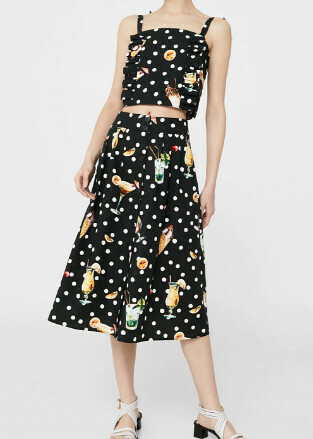 This Mango skirt and top set, with polkadots and cocktails, was beckoning me since before Christmas. I didn't like the price, so I waited, and got the whole set for under £30. Alas, the sizing was really odd. I bought the M/L skirt, which fit like a 10, which was fine, but then the S/M top was hanging off me. The cut was really boxy and it just looked weird. So, back they went. The biggest thing I've bought this month though is... a holiday to Spain for early May, hurrah! The blue maxi is fab. I never buy leather or suede (being vegetarian, bordering on vegan) and often find buying good quality shoes and boots a challenge. Manmade shoes are generally either patent which is fine as I love patent, but it splits easily or they're made of that terrible faux suede which goes bald. It's so annoying when an item goes into the sale when you've just paid full price. Just as annoying are Lindy Bop who do a site sale days after I pay full price, but I console myself with 'how was I to know?' And when my size is all that's left, I feel I need to pounce. 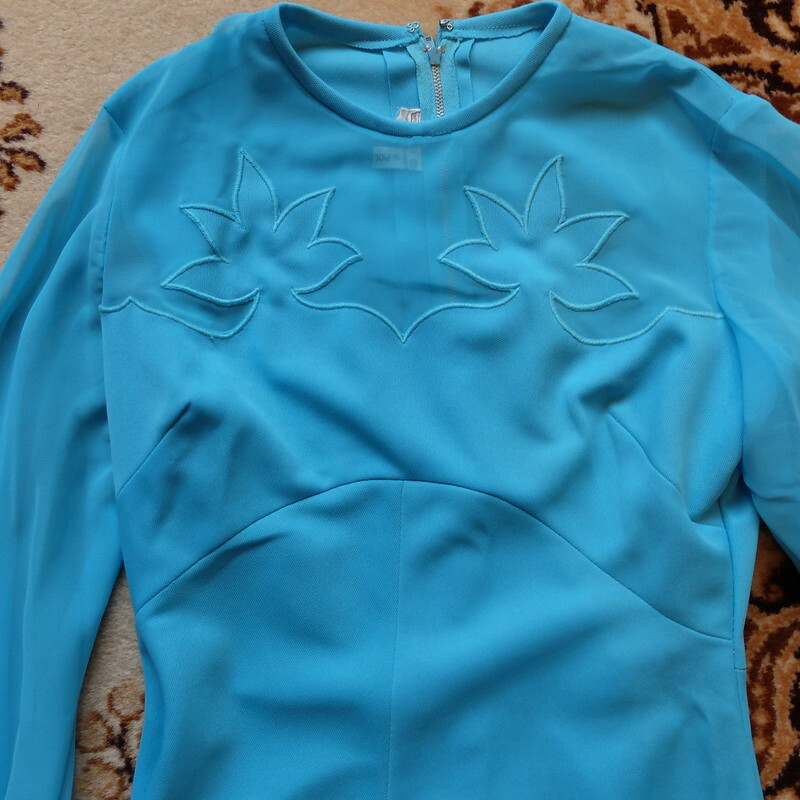 The vintage turquoise dress is a beauty ! I think you will wear it beautifully. That holiday sounds great! We could do with a bit of sunshine! The sparkling boots are my favorite! 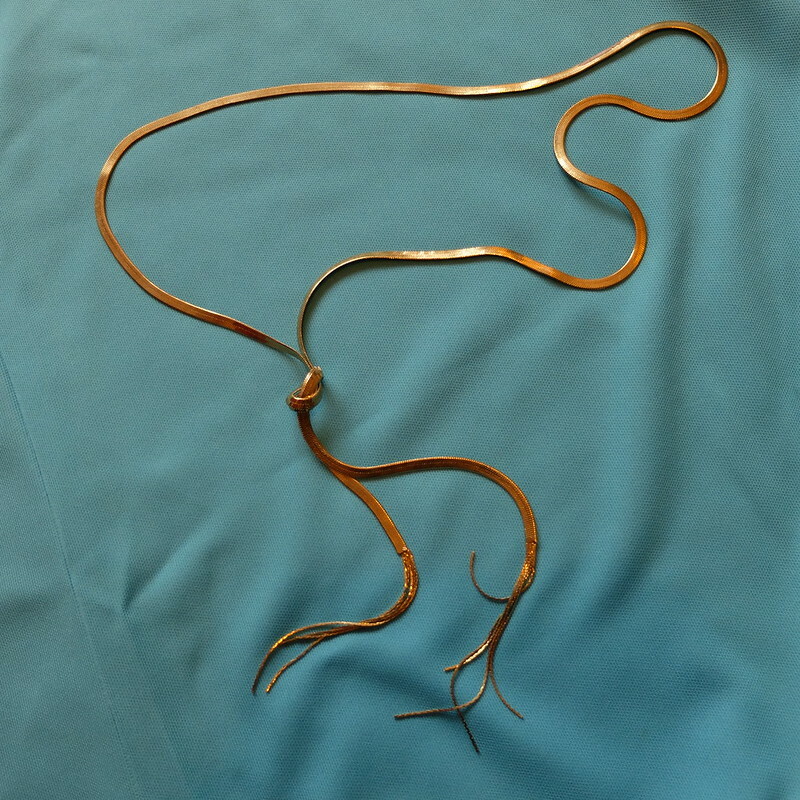 And the necklace! That really is a stunner! Sunshine is most definitely needed Nancy!! I love coloured gloves, they really brighten up a winter outfit. The boots are fab, I didn't see them in our Marks sale. I bought two sparkly Christmas jumpers and as I suspected she would my mother took one look and waltzed off with them! How cheeky!! I hope you will at least get to borrow them?! Ohhh yes, the dreaded "avoiding my PhD" shopping. I remember it well - sometimes the stress can get so much, you just need the special jolt of happy that only shiny new carrier bags can bring! I love it...I'm particularly obsessed with the '70s turquoise maxi dress - it's such a bright and happy color. =) Can't wait to see how you style these! I'm glad you can relate! That turquoise dress is my favourite purchase, I've been wearing it around the house quite a bit but it needs to be taken out for cocktails! Woohoo for holidays to Spain? Are you going back to the lovely beach town?